This entry was posted in Business Tax Prep, Tax Planning, Tax Preparation and tagged accountant, exemptions, Tax planning, taxes on March 13, 2019 by mk4lahrmer. Employee Relocation: What Happens to your Home? This entry was posted in Employment Accounting, Financial Planning, Income Tax, Life Changes, Tax Planning and tagged accountant, exemptions, tax deduction on June 7, 2017 by mk4lahrmer. This entry was posted in Financial Planning, Tax Planning and tagged accountant, exemptions, investment income on May 10, 2017 by mk4lahrmer. 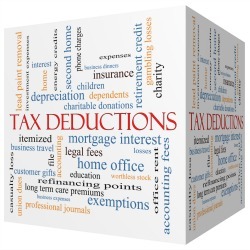 This entry was posted in Income Tax, Life Changes, tax credits, Tax Planning, Tax Preparation and tagged capital gains, charitable contributions, deductions, dependents, earned income tax credit, EITC, estate planning, exemptions, Medicare Tax, retirement contributions, retirement savings, tax brackets, tax deduction on January 18, 2017 by mk4lahrmer. This entry was posted in Income Tax, IRS Updates, tax credits, Tax Planning, Tax Preparation and tagged accountant, deductions, earned income tax credit, exemptions, joint return, tax brackets on January 11, 2017 by mk4lahrmer. This entry was posted in Income Tax, Tax Preparation and tagged accountant, dependents, exemptions, tax return on March 8, 2016 by mk4lahrmer.